Simba Mattress Review – How Good Really Is It? Numerous online based mattress manufacturers have been entering the market in recent times to shake up the mattress industry. For decades we have been going into busy showrooms and pressured by pushy professionals to purchase mattress, and then we have to repeat this process every few years. These online companies have removed the middleman which allows the selling price to be significantly lower so more people can enjoy their mattresses. Simba Sleep is one of these online retailers who is leading the revolution with their flagship Simba mattress. It can be challenging to choose a mattress, especially if you're shopping online and can't even lie on it before purchase, so we have created a comprehensive Simba mattress review to show you the benefits and drawbacks of the product and allow you to discover whether it's all hype or the mattress delivers. This model is in our best overall picks. Simba Sleep is not new to the bedding industry and has been around since 1979 when they first began to supply the thread that was used to produce mattresses. They supplied thread that was responsible for the creation of over 50 million mattresses, and this in-depth expertise was then used to transition into mattress design, manufacturing and retailing allowing them to develop into the business that it is today. Through meticulous planning and design, the mattress has undergone several developments, and they have pushed the market forward from traditionally being a block of memory foam into an extremely technical and revolutionary industry. Instead of creating many different mattresses, they have made the buying process simple by producing the "perfect" mattress which has been specially designed to provide people of all shapes and sizes with the best nights sleep. The Hybrid mattress has been developed in partnership with The Sleep To Live Institute after undergoing years of testing and trials after profiling over 10 million people to create a mattress with the optimal level of firmness. Despite being just 10 inches thick, the Simba Sleep mattress comprises of 5 unique layers that all play an essential role in providing you with an incredible sleep experience. The top layer is a soft, comforting layer that provides support throughout the night. This layer has been developed Simba and contains a synthetic Latex layer that also gives a cool feel for the entire time that you lay on it. This spring layer is constructed using 2,500 unique conical springs that all adjust individually through your sleep and react to your movement. This ensures that you remain supported throughout the entire night. This is a patented feature so the experience will not be replicated with any other mattress in the world. This layer is constructed using high-quality Visco memory foam. This layer contours to the shape of your body and reacts to changes in temperature so it can sense when you're lying on it. Once you have finished sleeping, it then springs back into its original shape. This Memory Foam layer also allows you to move naturally in your sleep while working to align your spine and promoting healthy posture to relieve tension and pressure. Visco Memory Foam is also hypoallergenic and anti-microbial so not only does it bring a comfortable sleep, but also a hygienic sleep. This layer is a thick support base which is the foundation for the mattress and has seven different load bearing zones to distribute your weight across the mattress evenly. This foundation base has individual grooves built in, with each zone working together to provide an all in one responsive support solution. The entire mattress has a breathable, hypoallergenic cover. The breathable qualities of the material allow for freshness to be retained and the temperature to be controlled to a consistent level for the whole of your sleep. The cover is 100% polyester which is exceptionally durable while also being great for sensitive sleepers. This is my favourite part of the process because while doing it I am thinking about the awful memories of having to go from store to store different testing beds before making a final decision after wasting an entire day. Ordering a Simba Sleep mattress is as simple as a few clicks, then you can sit back and wait for it to be delivered to your door. The product will arrive via next day delivery, vacuum packed and sealed into a box that roughly measures 1m x 0.5m x o.5m, so it's a small box considering the size of a mattress. It makes it not only easier to deliver but easier to transport it to the room where it will be used. How often have you had to struggle with a full sized mattress up a windy set of stairs or around a tight bend? Not with the Simba Sleep mattress. Once you have it in your desired room you will need to remove it from the box and leave it for a few hours to expand into its original shape so its ready to use. One thing to be aware of is that like all memory foam products; there may be an initial smell. This is normal even though the odour is less noticeable then competitor products because they only use water-based adhesives. If this is your first memory foam mattress then you may not be used to it, but the smell will always fade after the few days, and it will disappear quicker in a well-ventilated room. Simba Sleep has included a great opening experience with some excellent packaging. When you open the box, you'll find a lovely welcome pack and instructions which are formed into a "do not disturb" hanger which is a cool touch. The whole experience is quite exciting considering its just a mattress but Simba Sleep has nailed it. ​So How Does it Perform? This is the most important thing, isn't it? So does it deliver what it promises? The first thing to understand is that it's difficult to explain the experience of sleeping on the mattress. Simba claims that there is no firmness rating because its "perfect", of course, I was still sceptical, though we now have to agree. The mattress is not too hot, too cold, too soft or too hard and it's a perfect hybrid mattress which can cater to all needs. When you lie on the mattress you can feel the firmness supporting your back and spine, but then the memory foam layer kicks in, and you can feel the contouring ability of the mattress creating a snug feel without making you sink far into the mattress which is the problem with most memory foam mattresses. It's when you wake in the morning that you can tell how well you slept and when using the Simba Sleep mattress you can feel that any existing aches and pains will have subsided and you almost jump out of bed in the morning ready to attack the day feeling refreshed and energetic. It's a great feeling, and you often don't know how bad the quality of sleep you're getting until you change your mattress then you can tell the difference. The best way to explain the sleeping experience is that it's like sleeping on a cloud. An important factor for my sleep is heat regulation as constant changes in temperature can keep me awake and disturb my sleep. Encouragingly the Simba Sleeps thermoregulation technology works even when using a thick duvet and the mattress never seemed to overheat and become uncomfortable. Just the simple capability of being able to stay cool will increase the quality of your sleep almost instantly. Being less submerged in foam also means that there is an increased level of air flow. The mattress also has minimal motion transfer so even if you sleep with a partner who loves to move continuously throughout the night, the movement will not be transferred and felt by you so you will not be disturbed leading to a higher quality of sleep. In my eyes, this is one of the main selling points of the mattress that isn't found in many other mattresses. So does the Simba Sleep mattress deliver? YES. Simba Sleep is so sure that their mattress will improve the quality of your sleep that they offer a 100-day guarantee so if you aren't happy with the mattress within this time frame then you can return it for a full refund with no questions asked. This is hugely important because any new mattress can feel odd at first and it can often take 14-30 days to fully get used to a new mattress and discover whether you like it or not. If you share a bed with a partner, then it can take you both different periods to decide whether the mattress improves the quality of your sleep or not. In addition to the 100 sleep guarantee, a 10-year manufacturers warranty comes with the purchase of any mattress. This excludes general wear and tear but covers defects that may occur within this time. The average lifespan of a mattress is 8-10 years, and it is regularly that at this point it's time to replace the mattress, Simba are guaranteeing that it will perform for at least this minimum period. 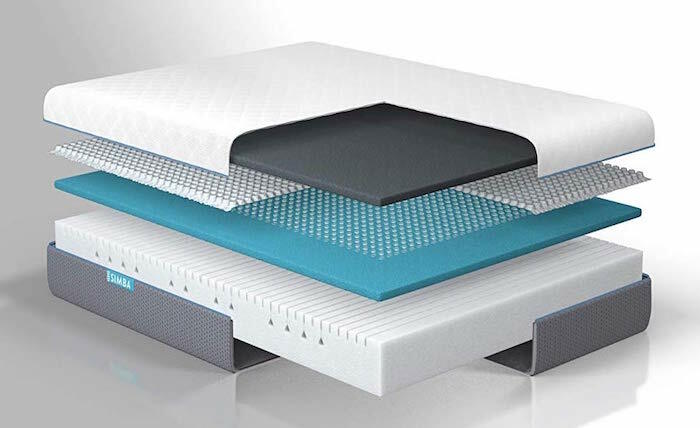 The unique five-layer system creates a hybrid mattress that provides the perfect level of firmness and support, so no matter the position you sleep in the mattress will provide the necessary support throughout your sleep keeping you comfortable, yet cool, at all times. This unique layered system also means that the mattress is suitable for people of all shapes and sizes. The Simba mattress is extremely versatile and has been designed to be used on any flat surface even the floor. This is helpful because it means you do not need to spend additional money on buying a new bed frame for your new mattress. As explained previously, its lack of motion transfer means that if more two people share the mattress, one sleeper who frequently moves throughout the night will not wake the other person because they will not feel the movement. The Simba Sleep mattress is designed and manufactured within the UK, and the materials are also sourced locally to create a genuinely British product. While also supporting one of the countries oldest trades. Different people are more reactive to the smell; some need to leave it in a separate room for a few days, whereas others can begin using it straight away and the smell doesn't bother them. The Simba Sleep mattress is taking the market by storm, and rightly so. Its revolutionary comforting five-layer technology combined with its affordable price means that it is accessible to almost anyone who is looking to purchase a new mattress. Its 100 day sleep guarantee means that you have nothing to lose by trying it but potentially have much to gain especially if you're currently struggling to sleep or are experiencing aches, pains or back soreness. It's important to note that it often takes several nights to get used to the mattress, but it will quickly transform your sleep. There is an overwhelming number of positive reviews and support for the product especially from those who have been suffering from back pain and have noticed the pain subside since beginning to use the mattress. Once you experience this mattress, you'll begin to see why online mattress stores have started to disrupt the traditional mattress buying marketplace. Numerous online based mattress manufacturers have been entering the market in recent time to shake up the mattress industry. For decades we have been going into busy showrooms and pressured by pushy professionals to purchase mattress and then we have to repeat this process every few years. It can be difficult to choose a mattress, especially if you're shopping online and can't even lie on it before purchase, so we have created a comprehensive Simba mattress review to show you the benefits and drawbacks of the product and allow you to discover whether it's all hype or the mattress really delivers. ​This model is in our best overall picks. Simba Sleep are not new to the bedding industry and have been around since 1979 when they first began to supply the thread that was used to produce mattresses. Instead of creating a number of different mattresses, they have made the buying process simple by producing the "perfect"​ mattress which has been specially designed to provide people of all shapes and sizes with the best nights sleep. The Hybrid mattress has been developed in partnership with The Sleep To Live Institute ​after undergoing years of testing and trials after profiling over 10 million people to create a mattress with the optimal level of firmness. The top layer is a soft comforting ​layer that provides support throughout the night. This layer has been developed Simba and contains a synthetic Latex layer that also gives a cool feel for the entire time that you lay on it. This spring layer is constructed using 2,500 conical unique springs ​that all adjust individually through your sleep and react to your movement. This ensures that you remain supported throughout the entire night. This is a patented feature so the experience will not be replicated in any other mattress in the world. This layer is constructed using high quality Visco memory foam. This layer contours to the shape of your body and reacts to changes in temperature so it can sense when you're lying on it. Once you have finished sleeping, it then springs back into its original shape. 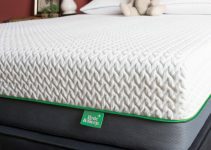 This Memory Foam layer also allows you to move naturally in your sleep whilst working to align your spine and promoting healthy posture to relieve tension and pressure.​ Visco Memory Foam is also hypoallergenic and anti-microbial so not only does it bring a comfortable sleep, but also a hygienic sleep. This layer is a thick support base which is the foundation for the mattress, and has 7 different load bearing zones to evenly distribute your weight across the mattress.​ This foundation base has individual grooves built in, with each zone working together to provide an all in one responsive support solution. The entire mattress is encased in a breathable hypoallergenic cover. The breathable qualities of the material allows ​for freshness to be retained and the temperature to be controlled to a consistent level for the whole of your sleep. The cover is made from 100% polyester which is extremely durable whilst also being great for sensitive sleepers. Once you have it in your desired room you will need to remove it from the box and leave it for a few hours to expand into its original shape so its ready to use.​ One thing to be aware of is that like all memory foam products, there may be an initial smell. This is normal even though the odour is less noticeable then competitor products because they only use water based adhesives. If this is your first memory foam mattress then you may not be used to it but the smell will always fade after the few days and it will disappear quicker in a well ventilated room. Simba Sleep has included a great opening experience with some excellent packaging. When you open the box you'll find a lovely welcome pack and instructions which are formed into a "do not disturb" hanger which is a cool touch. The whole experience is quite exciting considering its just a mattress but Simba Sleep has nailed it. This is the most important thing isn't it? So does it deliver what it promises? The first thing to understand is that it's difficult to explain the experience of sleeping on the mattress. Although Simba claim that there is no firmness rating because its "perfect", of course I was still skeptical​, though we now have to agree. The mattress is not too hot, too cold, too soft or too hard and it really it a perfect hybrid mattress which can cater to all needs. It's when you wake in the morning that you can really asses how well you slept and when using the Simba Sleep mattress you can feel that any existing aches and pains will have subsided and you almost jump out of the bed in the morning ready to attack the day feeling refreshed and energetic. It really is a great feeling and you often don't know how bad the quality of sleep you're getting until you change your mattress then you can really tell the difference. The best way to explain the sleeping experience is that its like sleeping on a cloud. An important factor for my sleep is heat regulation as constant changes is temperature can keep me awake and disturb my sleep. Encouragingly the Simba Sleeps thermo regulation technology works even when using a thick duvet and the mattress never seemed to overheat and become uncomfortable. ​ Just the simple capability of being able to stay cool will increase the quality of your sleep almost instantly. Being less submerged in foam also means that there is an increased level of air flow. The mattress also has minimal ​motion transfer so even if you sleep with a partner who loves to move constantly throughout the night, the movement will not be transferred and felt by you so you will not be disturbed leading to a higher quality of sleep. in my eyes this is one of the main selling points of the mattress that isn't found in many other mattresses. So does the Simba Sleep mattress deliver? YES​. ​Simba Sleep are so sure that their mattress will improve the quality of your sleep that they offer a 100 day guarantee so if you aren't happy with the mattress within this time frame then you can return it for a full refund with no questions asked. This is hugely important because any new mattress can feel odd at first and it can often take 14-30 days to fully get used to a new mattress and discover whether you like it or not. If you share a bed with a partner then it can take you both different periods of time to decide whether the mattress improves the quality of your sleep or not. In addition to the 100 sleep guarantee, a 10 year manufacturers warranty is also included in the purchase of any mattress. This excludes general wear and tear but covers defects that may occur within this time. The average lifespan of a mattress is 8-10 years and it is regularly that at this point it's time to replace the mattress, Simba are guaranteeing that it will perform for at least this minimum period of time. ​The Simba mattress is extremely versatile and has been designed to be used on any flat surface even the floor. This is helpful because it means you do not need to spend additional money on buying a new bed frame for your new mattress. The Simba Sleep mattress is designed and manufactured within the UK and the materials are also sourced locally to create a truly homemade British product. whilst supporting one of the countries oldest trades. Different people are more reactive to the smell, some need to leave it in a separate room for a few days, whereas others can begin using it straight away and the smell doesn't bother them. 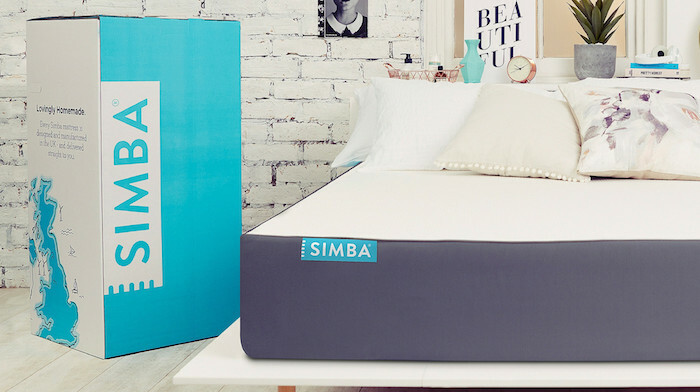 The Simba Sleep mattress is taking the market by storm, and rightly so. Its revolutionary comforting 5 layer technology combined with its affordable price means that it is accessible to almost anyone who is looking to purchase a new mattress. Its 100 day sleep guarantee means that you have nothing to lose by trying it but potentially have much to gain especially if you're currently struggling to sleep or are experiencing aches, pains or back soreness. It's important to note that it often takes several nights to get used to the mattress but it will quickly transform your sleep. There is an overwhelming number of positive reviews and support for the product especially from those who have been suffering from back pain and have ​noticed the pain subside since beginning to use the mattress. Once you experience this mattress you'll begin to see why online mattress stores have begun to disrupt the traditional mattress buying marketplace.